This challenge is the brain child of my Virtual Potluck group. As food bloggers it’s hard to keep check on ourselves; what we eat and do to our bodies. So we've decided to work together as a group in our efforts to each “Build A Better Me” This is not going to be a scheduled event occurring every week or month. But rather we are going to each do something for ourselves and post about it when we feel the time is right. I want to share with you what has worked for me so far and what hasn’t. (keep in mind I'm not an expert) What keeps me up at night and what keeps me motivated. Don’t worry you will still see all the yummy posts your used to on this blog but in between you will see a lot more “healthy living” posts. I hope you will join us in our journey to “Building a Better Me” and I hope that maybe we might inspire you to take part in your own journey. I want in! I want to build a better me, all the way around. Eating healthier, more exercise, more doing of the things that help me grow emotionally, physically and spiritually to be a better person, more doing of all the things that make me happy... Not sure where this will all lead, but change is in the air and I am excited for what's coming! Count me in! I don't have a great food name like y'all but definately count me in! Can't wait to see what worked for you! There may be hope for me yet. LOL..loved your 'great looking bird' comment - I got a good chuckle out of it. 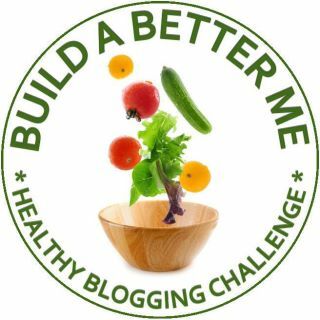 As for building a 'beter me', looking forward to yur posts about what worked for you. For now I'm building a 'bigger' me...with all the crap I've been eating. So inspirational and what a great idea! I can't wait to follow you on this journey! This is a worthy goal. Because if you were all going to do all healthy all the time from now on, and that is what I were committing to, I'd have to take down half my blog posts on food. Very cool! Looking forward to reading more. Please share your posts and I can include on Fit Friends!